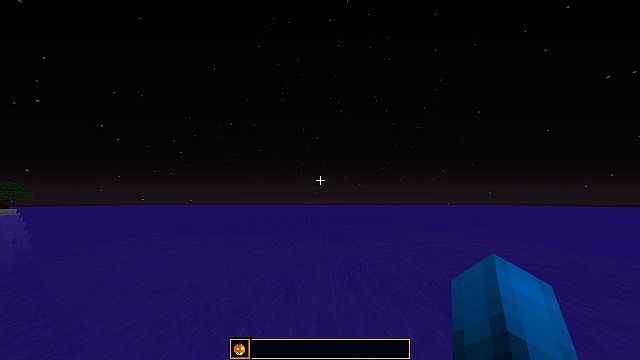 With October just a few hours away, I felt it only appropriate to review a budding Halloween texture pack. The Halloween Horror pack by Superarch is the first of many Halloween-themed submissions to come. If you are not a fan of this holiday, I apologize in advance; it is my favorite one, and I’m definitely going to be reviewing tons of thematic content. Before continuing, remember that this pack is a work in progress. It is by no means at a festive level, but you can begin to see its excellence take shape. I can only hope that it is done in time for Halloween, because it is off to a great start. 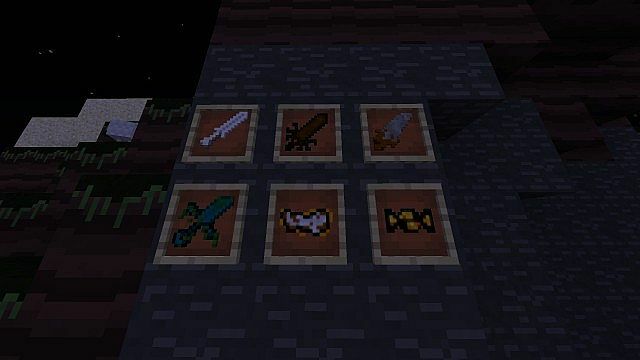 Here you can see some swords that have been updated to look like classic horror-themed weapons, such as swords with bat wings and menacing looking knives. Additionally, the two food items are actually an empty bowl and a bowl of mushroom stew – pretty awesome! Hopefully mushrooms will be changed into some kind of candy-like ingredient as well to make the process make sense. 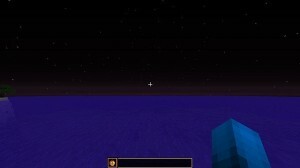 The item bar certainly looks more festive, and the ocean has turned a dark purple. You can see on the right side off in the distance how the grass blocks look lined up together. 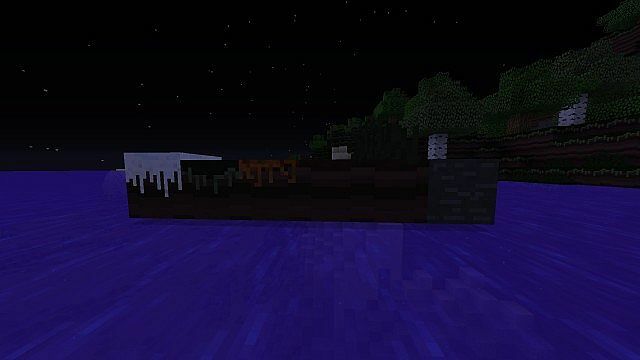 The effect adds quite a spooky atmosphere when combined with the dark oceans at night. How awesome is that? I hope Superarch changes more particles to be more festive. 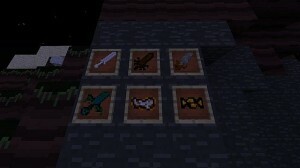 As Halloween nears, I may write an update post on this pack depending on how far it progresses. 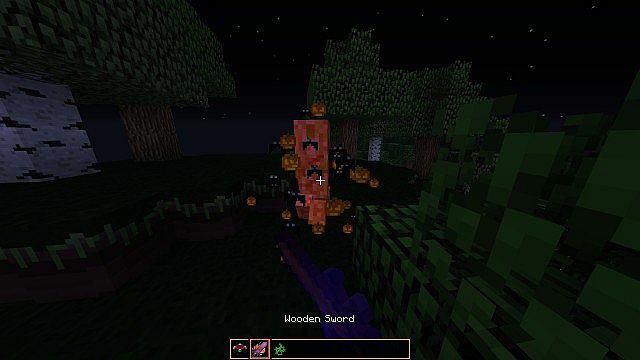 What I like most about it so far is that it is not overbearingly “Halloween” like some packs tend to be (bat and pumpkin decals on everything, all mobs turned black and orange, etc. )… It is subtle, but effective. Be sure to give the creator your support if you like it so far, and stay tuned for more! 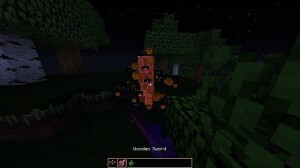 Download the latest version of Halloween Horror. What holiday is your favorite, and why? Leave your answer in the comments below!